These eminent people have contributed to the development of Nigeria in the areas of industry, politics, and diplomacy and their hometown has since become known as the “Billionaire Town” of Nigeria and possibly Africa. 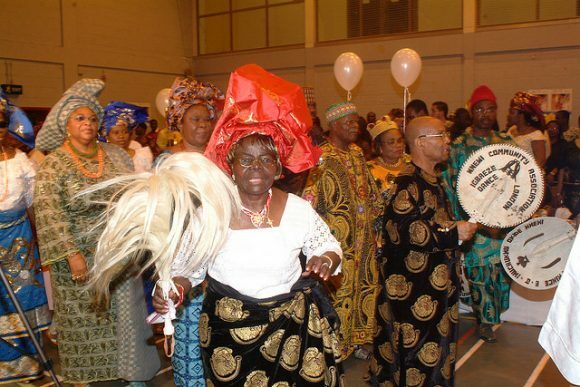 If you have ever been to Nnewi, an industrial town in the south of Anambra State, Nigeria, you would notice an assembly of influential personalities; men and women of means that the town has produced over the years. The town largely made of Igbos has bred prominent figures including Igwe Orizu I (Eze Ugbonyamba), who was the 18th Igwe Nnewi and the first Igbo person to own and drive a car, and Sir Louis Odumegwu Ojukwu, Nigeria’s first black billionaire and father of the late Ikemba Nnewi and Eze Igbo Gburugburu, Chief Chukwuemeka Odumegwu Ojukwu. 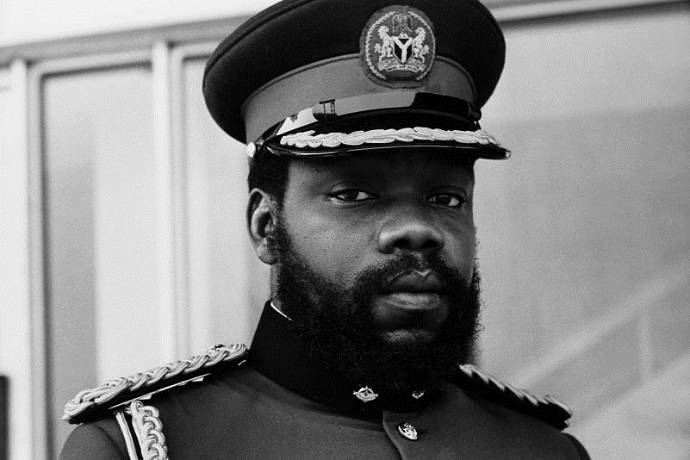 Ojukwu, who was also the founding president of the Nigerian Stock Exchange, was knighted by Queen Elizabeth II shortly before Nigeria’s independence in 1960 due to the help he gave the British during World War II with his fleet of trucks. Such was Ojukwu’s wealth, that when the Queen visited in 1956, she was chauffeured around in his Rolls-Royce – apparently the only one in the country at the time – on the request of the colonial administration, according to Forbes Africa. Ojukwu had earned his wealth by “importing dried fish for resale and diversifying into textiles, cement, and transport”, according to a profile of him in September 1965 by TIME magazine. The report added that when he died a year later, his wealth was an estimated $4 billion in today’s economic value. Chukwuemeka, his son, who also ended up a billionaire, returned from Oxford University at 22 with a master’s degree in history. He would lead his fellow Igbos in the Nigerian civil war as head of the secessionist state of Biafra in 1967. Their hometown, Nnewi, has since produced billionaires than any other town in Nigeria and has now become a hub for automobile spare part dealers and manufacturing of household goods, as well as, the home of the biggest road transport companies in the country. 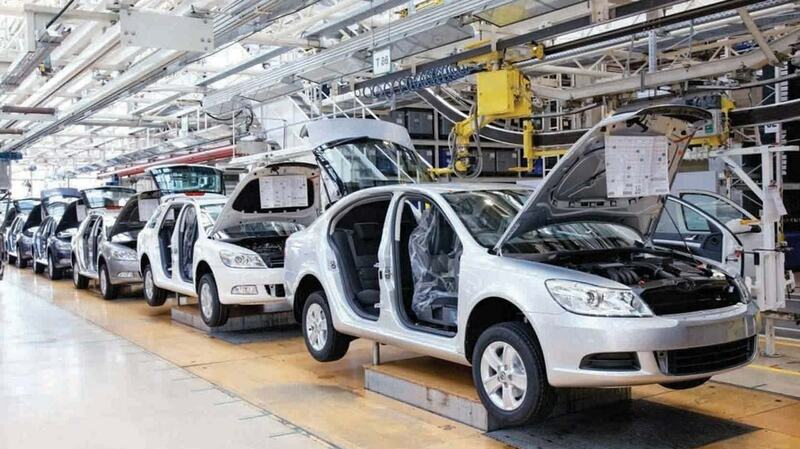 Known as the Japan of Africa, many products and their parts, including motor vehicles, tyres, tiles, batteries, motorcycles, and many others, are being manufactured or assembled at Nnewi, including Innoson, Nigeria’s first indigenous car assembly plant. Traders come from Nigeria and parts of West Africa to purchase spare parts from the town, with many coming from Cameroon. Having a long history of trading relations with exporters from various parts of Asia, Nnewi has quickly developed into a “major industrial zone, a thriving manufacturing hub, to the delight of its indigenes. “Within the past decade, Nnewi has been experiencing rapid industrial development. About two dozen large and medium industries in different sectors have been established in the town. In the past five decades or thereabouts, indigenes of Nnewi have been in charge of about 90 percent of the auto parts business in the country. And in the many manufacturing and assembling firms in the town, thousands of Nnewi natives and non-natives benefit from the growing industrialization of the community through direct employment opportunities,” a report by Nigerian media, The Sun said. Nnewi, with a little over two million residents, is the second largest town in Anambra State. The metropolitan city covers two local government areas – Nnewi North and Nnewi South. Nnewi North, which is generally known as Nnewi Central, is made up of four autonomous quarters, each having a traditional ruler (Obi) with his own palace. 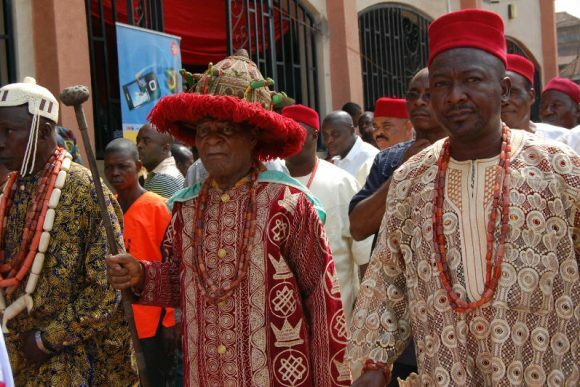 The overall paramount traditional ruler of Nnewi town is the monarch – Obi of Otolo and Igwe of Nnewi, Igwe Kenneth Onyeneke Orizu III. Obiajulu Uzodike, who owns one of the top cable companies in the world – Cutix Nigeria, and Innocent Chukwuma, the founder of Innoson Nigeria Limited which produces commercial buses and passenger cars, as well as, sport utility vehicles at the first indigenous assembly plant in Nigeria. 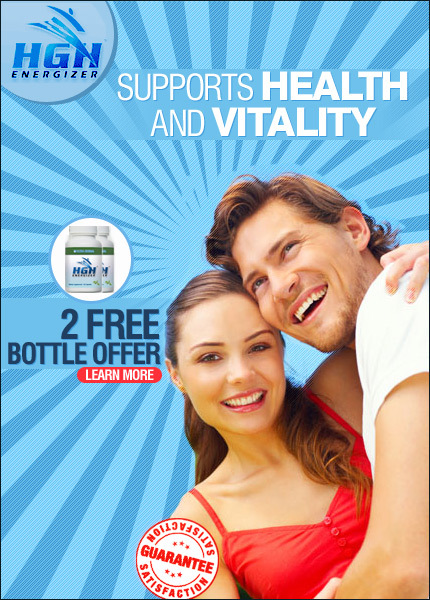 Its customers include the governments of Anambra and Enugu states, as well as a few federal agencies. In 2017, the Billionaire Town of Nnewi was in the news for the unpleasant reasons – a notorious kidnapper, Chukwudumeje ‘Evans’ Onwuamadike, who was arrested, claimed that he was from the town, bringing the world’s attention to the area. Nevertheless, this did not ruin the outstanding achievements of Nnewi and its contribution to the industrial development in Nigeria and across Africa.